A kitchen that uses charcoal for cooking// David Oduut. MANAFWA. Environmentalists and campaigners of clean energy in Bugisu region have expressed frustrations that efforts to enforce clean cooking energy methods among the populace continues to be shrouded in thick smoke that billows from chimneys of kitchens of most homes and institutions still logged to traditional methods of cooking. Ecologists blame the traditional method of using wood fuel and charcoal for household indoor air pollution resulting in 19 700 deaths and loss of over 120,000 hectares of forest cover annually. Justine Akumu, officer in-charge of renewable energy at the Ministry Of Energy and Mineral Development, said firewood and charcoal burning are the most preferred methods because they are cheap and readily available for both rural and urban dwellers in Uganda. But she noted that the use of these inefficient cooking technologies is one of the major barriers to realising sustainable wood fuel chain and forest conservation. According to a policy paper presented by Uganda National Alliance for Clean Cooking (UNACC), an NGO that supports efforts towards reduction of demand on sustainable biomass energy resources, much as the contribution of firewood and charcoal to Uganda’s GDP is estimated in billions of shillings and biomas production and trade creates nearly 220,000 jobs for Ugandans, these economic activities are also accumulating significant costs on the economy in form environmental degradation. The world is increasingly grappling with climate change, which is mainly blamed on human activity. The use of wood fuel in cooking is as one such. 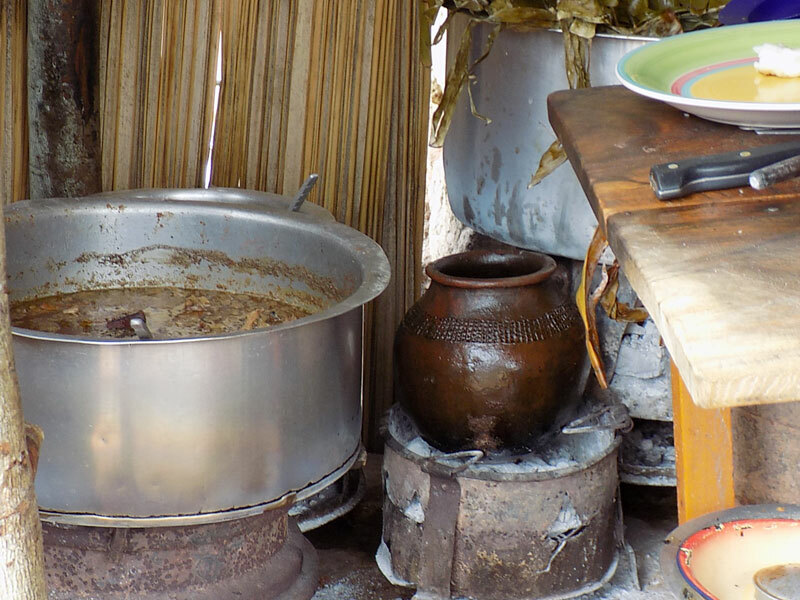 Ecologists say the traditional method of cooking has double danger on environment as it leads to loss of forest cover and also release of dangers emissions into the environment. Micheal Wangale, Manafwa district forest officer, said due to the high demand for firewood and charcoal in Manafwa and the neighboring districts, close to 20-30 tonnes of firewood is lost every day. “The growing demand for wood fuel, especially by institutions like schools, has put pressure on forest reserves in the entire Bugisu region. I am sure colleagues from other regions can share the same experience,” Wangale said. Wangale, who was speaking during a clean cooking Baraza at Namboko country Safaris Mbale, last week, said due to the scarcity of firewood in the region, some households have resorted mainly to use crop residues like maize and sorghum stalks for cooking. This would have helped otherwise in soil fertility, he added. He said that much as his office has been engaged in constant community sensitisation, there is evident low uptake of environmentally-friendly methods of cooking. Halima Wana, chairperson of Eastern Uganda Biogas Association, said much as technologies to clean cooking are available, there remains a huddle in breaking human attachment to traditional cooking methods. She said interventions like biogas technology appear expensive to set up yet it saves families and institutions money for wood fuel and is eco-friendly. As biomass advocates, Wana recommended that institutions like schools are at the advantage to run bio latrine biomass technology, which would help to address biomass emissions caused by burning tonnes of firewood. Akumu said the ministry of energy, under its renewable energy policy 2007, has been advocating for efficient cooking solutions like the use of biogas technology, LGP (container gas), solar, improved cooking stoves, among others. “We are looking at increasing the use of modern renewable energy from the current 4% to 61% by 2017 but the results are currently stagnant as communities are buried in traditional methods,” Akumu said. Gloria Birungi, UNACC acting country coordinator, however, faulted the current national policies and regulations by the Ministry of Energy and Mineral Development and the Ministry of Water and Environment. which do not provide regulations for sustainable charcoal production and firewood extraction. She said UNACC has been engaging the ministry of energy and other stakeholders to rally people into adopting clean cooking solutions that are environmentally friendly.